PlayStation has announced that PS4 players can start to change their PlayStation ID (PSN ID) starting now, either on their PlayStation 4 or on the web. This has been a highly requested feature for PlayStation for years, as many users have been wanting to change their users names. The feature was first announced in October and featured a closed access testing period as PlayStation was checking to see which games can support the new PSN ID. There’s no restriction on how many times you can change your name. And, if you want to revert back to one of your old ones, you can do so as many times as you want. The only thing there is is that the first name change is free; the next name changes are $9.99 USD ($4.99 for PS Plus members). Games published on or after April 1, 2018 are expected to support it. The feature is officially live on PlayStation 4 and the website today. 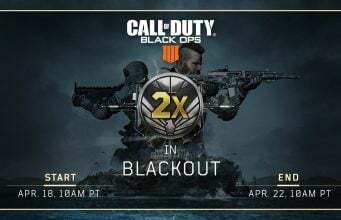 PlayStation has not listed Call of Duty: Black Ops 4 as a supported game for this change as of now, but the game was published after April 1, 2018.